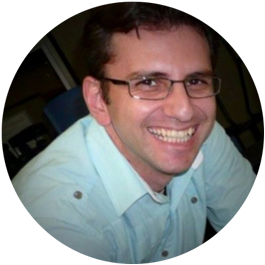 As a Pedagogy Coach, Antonios is passionate about improving every student's academic attainment by supporting the professional growth of his colleagues. He believes that through the use of research-based pedagogies, as well as the deliberate and intuitive utilisation of innovative tools, students will be able to make a powerful difference in the world. 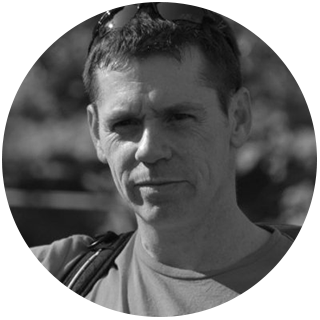 Paul's goal is to open the eyes and minds of his students to realities and possibilities that exist outside of their everyday life, facilitate opportunities for them to access these and see learning experiences transformed. 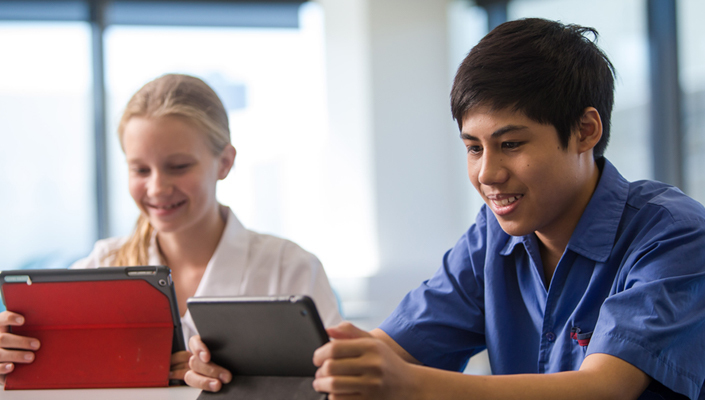 The adoption of Showbie as one of the core teaching and learning apps enriched Brisbane State High School’s learning environment by improving student-teacher collaboration on a consistent, easy-to-use digital platform. Brisbane State High School, located in Queensland, Australia, is dedicated to providing its 3,200+ students with the tools they need to develop into independent thinkers who will make a positive impact in both local and global communities. To achieve this goal, the school developed a Learning Innovation Plan (LIP), the core vision of which was to transform learning through the intentional and intuitive use of innovative technology. Using digital resources to expand learning boundaries for its students is essential to the LIP initiative. As technology has become part of our daily lives, the school’s leadership team knew it was essential to support students with access to the proper tools that prepare them for a future in a modern world. In Term 4 2013, teachers were provided with iPad Minis. Year 8 students starting the following year, were also expected to have an iPad as part of their school equipment, under a BYOD agreement between the school and parents. Since then, the device has been progressively introduced on a yearly basis throughout levels 7 to 12. With the school transitioning to an entirely 1:1 iPad environment in 2017, all teachers had their devices upgraded to an iPad Pro & Apple Pen at the beginning of the school year. As part of developing teacher capacity within the school community, a professional development program was designed and implemented with the view to support staff in making the most of the device. Working closely with the school’s leadership team, Antonios Apergis, Pedagogy Coach and Humanities Teacher, was instrumental in supporting staff on how to innovate using technology in their curricula, enabling teachers to convey the device’s potential for supporting learning to students and parents. Sharing of information and professional development are vital to a successful rollout of a new initiative, which led to development of the Towards Transformation program at the school. The program’s goal is to promote capacity throughout the school community by finding Digital Learning Champions within different faculties. The objective was to educate teachers about using technology to enhance pedagogy, providing teachers with the digital literacies and resources that suit their classrooms, increasing collaboration as well as building networks with other teachers to purposefully utilize these digital tools. When Brisbane State started the transition to a 1:1 in 2014, Faculties were free to use any apps in their respective classroom. Soon teachers were using a plethora of subject specific apps throughout the school. In 2015, Antonios proposed the use of “core teaching and learning apps” that truly aligned with the school’s learning goals. The basic criterion for a “core teaching and learning app” was that it should be “able to support innovative pedagogies across all learning areas” says Antonios. This ease of use, along with its universal compatibility with iTunes U, the school’s learning management system, and countless other apps, is why Showbie has become Brisbane’s primary app for collecting and distributing classwork, in just one year. While Showbie is known by users to be extremely easy to use and intuitive, school leadership still wants to be sure that all teachers are proficient in using it and all other “core teaching and learning apps” through several professional development training sessions. Earlier professional development sessions were centered on the introduction of core apps, while current and future sessions focus on the pedagogy a teacher wants to learn more about and how different digital tools can help achieve his or her goal. Both Paul and Antonios agreed that now that teachers have had experience and support with the school’s core learning apps, they can design richer and more engaging learning experiences using the apps’ full potential. Examples of such use of additional layers within Showbie’s features include using the Shared Folder for tracking students’ progress using proficiency scales, the use of Showbie Groups for collaborative activities, and using Showbie’s annotation tools to provide timely and rich feedback through written and voice comments. Simplifying file sharing is central to Showbie’s success at Brisbane, but teachers are also using the app to communicate with each other. Sharing feedback is important not only between teachers and students, but also between teachers to share best practices and pertinent resources that can enhance a school’s learning environment. Bronwyn Marler, English and Humanities Teacher, has found this feature useful. “Our Professional Learning Circle has a Showbie group for work we want to share,” says Bronwyn. “We contribute ideas for meetings and generally share any information/resources we think will be helpful for the group.” Using Showbie eliminates many communication barriers that prevent teacher collaboration and promotes a consistent, cohesive learning environment within a school community. Showbie can also have a big impact on a school’s bottom line by reducing paper costs. Though still a relatively new adopter of the platform, Brisbane has already seen the significant cost savings of going paperless. “Our Humanities department’s photocopy budget was $9,000 last year, and we are on pace to reach only $3,000-$4,000 this year,” explains Antonios. This dramatic cost reduction attests to Showbie’s ability to completely streamline classwork in a digital format. There is no doubt that using technology can enhance a school’s learning environment when executed correctly. However, without the support of the entire school community, technology cannot be utilized to its full potential. 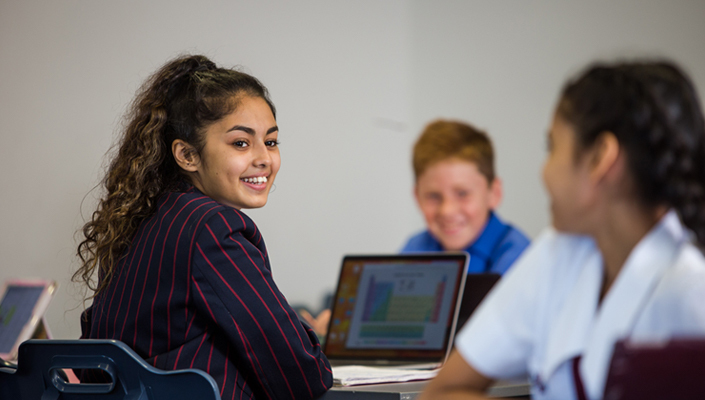 Brisbane State High School executed a cohesive technology plan combining powerful digital devices with the best online tools to improve their student’s learning experience and equip students with the skills they need to thrive in a constantly changing world.